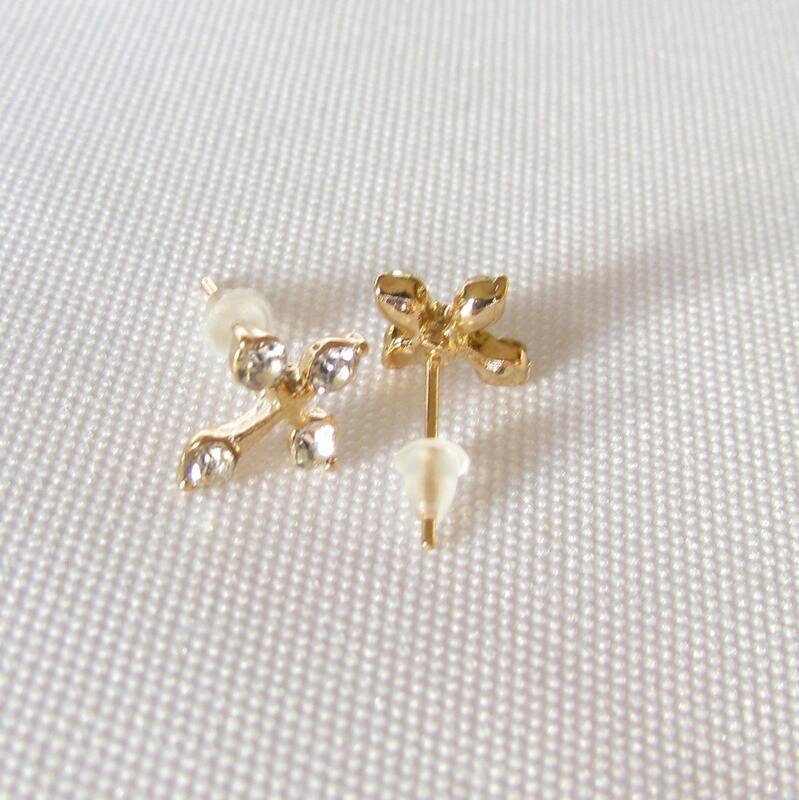 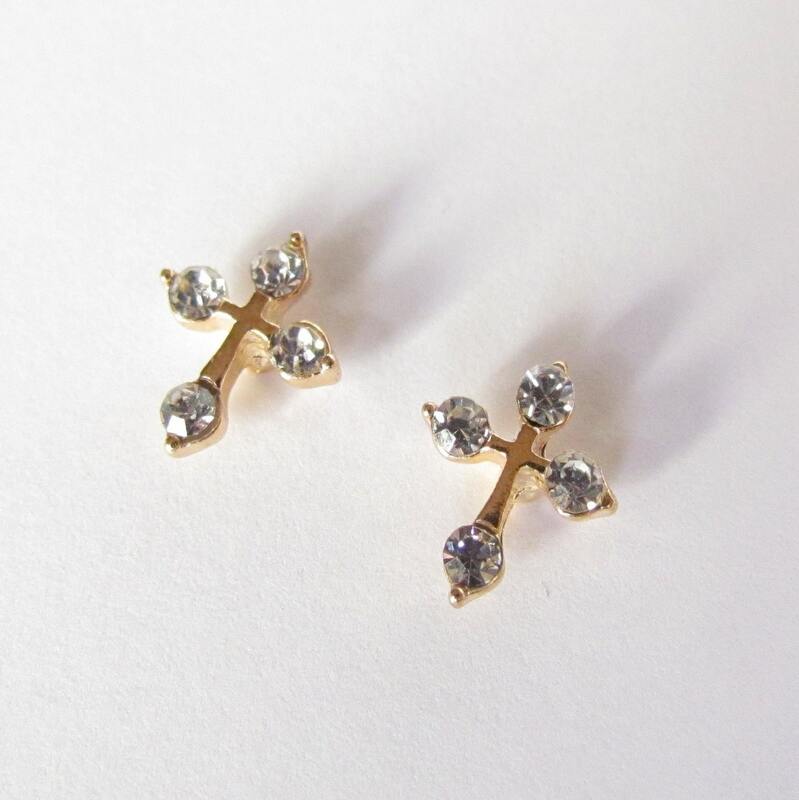 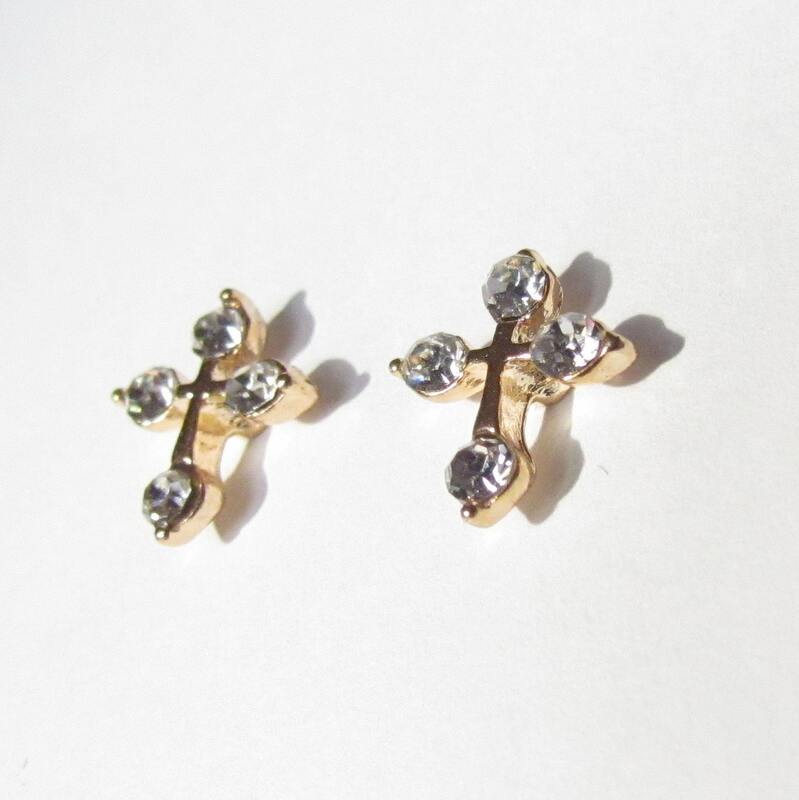 Over the top elegant Dainty Gold Plated 4 Rhinestone Cross Earrings are brilliant to catch the light. 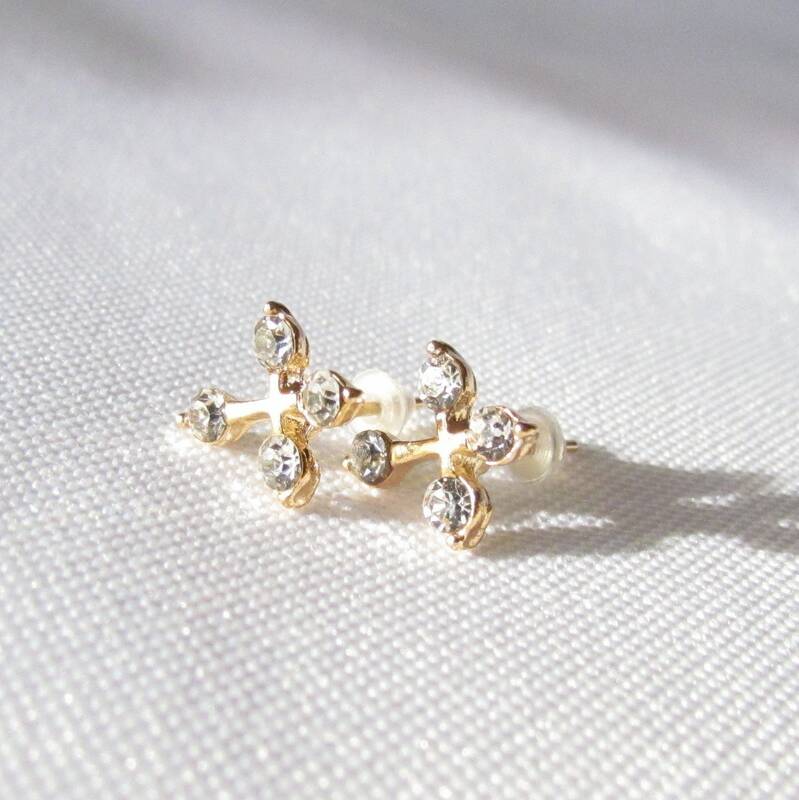 These dainty Hearts measure 5/8” long x 5/8” wide. 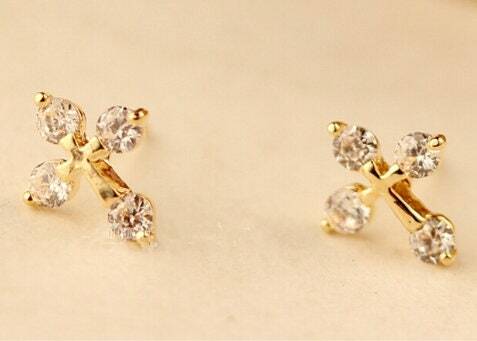 Each of these Heart earrings is Gold in Color and comes with complementary ear posts.